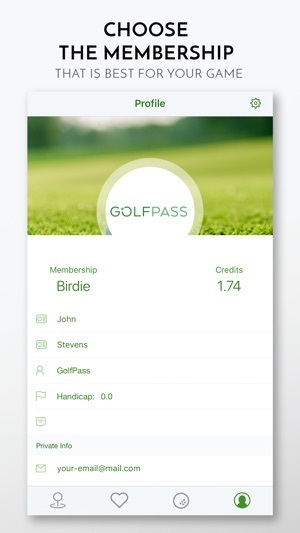 GolfPass is the golf industry’s FIRST mobile app-based monthly membership. With GolfPass, your golf game has never been more flexible - or more fun. Search, view, book, and play tee times at any of our partner courses, ranging from hidden muni-gems to private courses – and our portfolio continues to grow. Your GolfPass membership lets you play the golf you want! 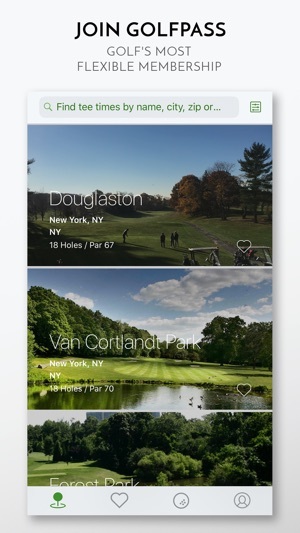 GolfPass is currently available in 4 states: New York, New Jersey, Connecticut, and Pennsylvania. Simple typo fixed in app store subtitle. Golfpass is a true game changer. The ease of paying monthly eliminates all of the frustrations of finding my credit card each time I want to play a round. Additionally, I truly get to show up and play without having to go through the traditional check-in process. Highly recommend golfpass for any golfer looking to just get on the course and play. Easy, Hassle Free Golf. Love It! 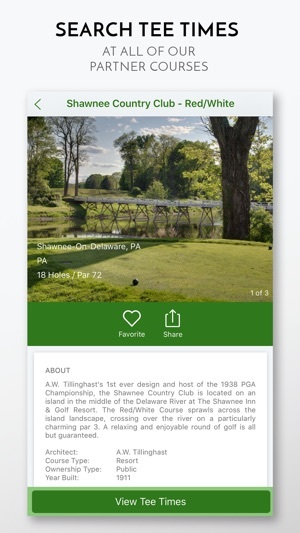 GolfPass makes it easy to discover new courses in my area and book tee times without the frustration of dealing with the golf courses themselves. Also love the monthly membership. I pay once a month and able to get my rounds in on the course without the hassle of paying each time. Just book on the app, show up and play! Super easy to use for booking tee times! 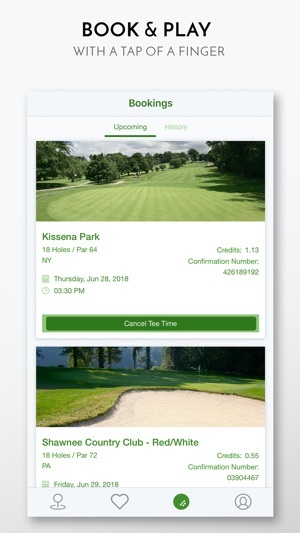 I recently joined GolfPass because I was looking for a way to be able to find available tee times in the New York area more easily, and this app does exactly that. Very easy to use. It’s like a digital Golf Membership!